Djibouti (HAN) April 21, 2014 – The Middle East Islamic extremism and the Horn of Africa of Al-Shabaab are the “most deadly” problem faced by British charities, British Intelligence communities and Western Allies, the head of the British sector’s watchdog said through private briefings. 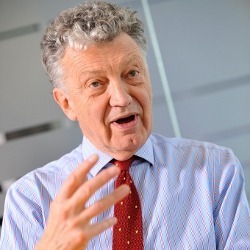 William Shawcross, the chairman of the Charity Commission, said the regulatory body was trying to take action against charities “sending cash to extremist groups in Syria”, in an interview with Major News paper Times in UK. 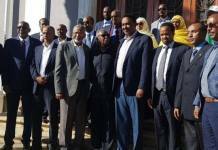 The regional Hawala, the unregulated and traditional Somali transfer that works with a network of agents is allegedly funding the transfer of fire arms from Somali to Kenya, according to the Security Minister of Kenya . William Shawcross, the chairman of the Charity Commission also said it was “ludicrous” that people with terror or money laundering convictions are not automatically disqualified from setting up charities or becoming charity trustees. Shawcross has written to Prime Minister David Cameron urging a change in the law. He said the commission was taking tough measures against any charity found to be “sending cash to extremist groups in Syria” or “dispatching young Britons for training in Syria or other extremist groups, such as Al-Shabaab of Somalia”. Ibrahim Ahmed from local NGO Northern Kenya Caucus said that weapons are shipped from Russia and Ukraine to Somalia and find there way to East Africa through the porous border between Southern Somalia which holds the Al-Shabaab. “The problem of Islamist extremism and charities through Hawala and Regional Financial firms are not the most widespread problem we face in terms of abuse of charities, but is potentially the most deadly. And it is, alas, growing,” said the chairman of the Charity Commission. The Current British Intelligence Agencies for charities are being investigated for raising funds for Syria, Somalia and Yemen while seven others are being monitored. A British financial expert working for the UN to monitor illegal Financial transactions was shot dead last week while investigating systems used to transfer money to African pirates as well as Somalia militants of Al-Shabaab.